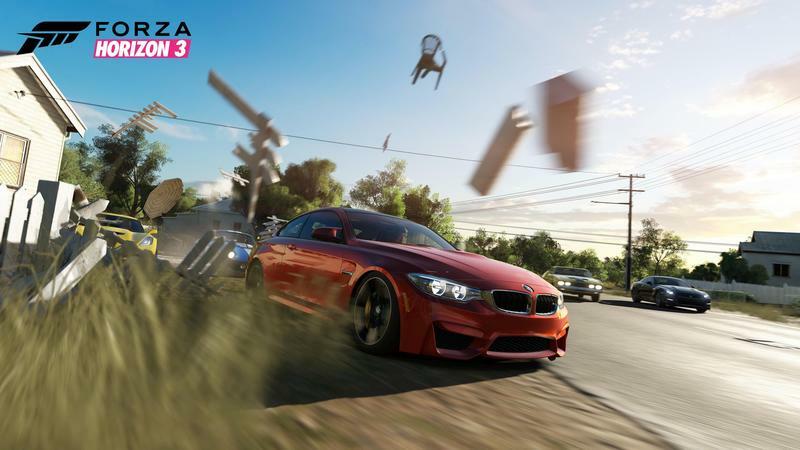 Forza Horizon has always been a series about beauty, freedom, and fun. This was a sentiment echoed by two different members of the Forza team last week at E3. I had the chance to not only check out a behind-closed-doors presentation of the upcoming Forza Horizon 3 with creative director Ralph Fulton, but also to speak to Forza design director Jon Knoles, who I'd actually spoken to a couple years ago about the previous Forza Horizon game. 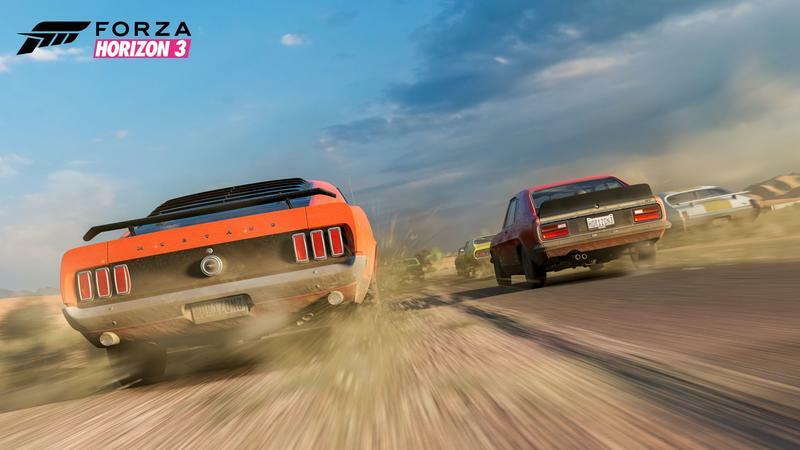 Both spoke not only about how Forza Horizon 3 continues those three pillars but about how the team is looking to bring a whole new level of customization to the whole game. 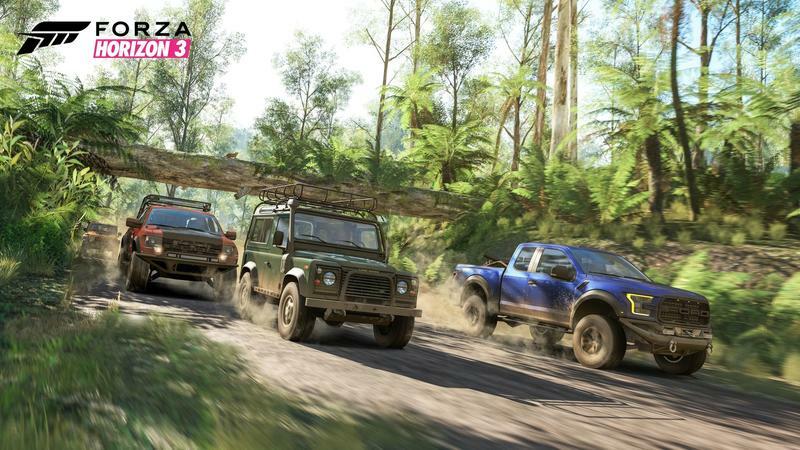 Forza Horizon 3 is set in the vast nation of Australia, and the map the team has put together is twice the size of the one we had in Forza Horizon 2. This new map is the "largest, most diverse open world" the team at Playground Games has built into a Forza game yet, according to Fulton. "We've doubled it because we have a lot to fit in. Australia is an incredibly diverse country, and that's what we wanted to give our players," he said. To demonstrate, Fulton zeroed in on one particular element of Horizon 3: the sky. The sky, he said, "is an authentic Australian sky that…actually happened in Australia last year." "We were there to capture it in a 12K, [high dynamic range], custom-built camera rig. We weren't there just that day, either, we were there all summer, capturing skies, getting all the diversity, variety, and spectacle of an Australian sky with that amazing camera rig." When he said "we," though, what he really meant was they. One of Forza Horizon 3's most beautiful elements was also its most challenging. "We had to go to Australia with this enormous camera rig that we built ourselves, and then we had people sit in the outback all summer where everything is trying to kill you," he said. "We couldn't just leave this thing – it had to be attended to. We had to change the lenses and clean them every 20 minutes." When asked if he, the creative director, was part of the effort, he laughed. "Well I didn't do it. I'm not crazy," he said. "One thing we had to do is, in Australia, there are lots of spiders, right?" he asked us, reminding me of one of the 47 reasons I refuse to go to Australia. "In this camera rig, there are lots of crevices – we had to do a spider check, a spider pass, every time we went to change lenses." Once all the spiders have been cleaned out, the skies captured, and the bodies of Playground Games have been disposed of (disclaimer: no one actually died during the filming process, probably), the team took that footage back to the studio. 12K, HDR footage is way more than any game system can handle. "The magic happens back at our studio where we're creating technology that allows us to take all the sky captures and build them into dynamic skyscapes that you see above you in the game. They are, I think, more beautiful and spectacular than anything you've seen in a sky in a video game before," Fulton said. The Forza team staff member driving the demo then put the game in fast forward, and we watched as clouds spawned and dissipated, rolling in, turning into a rainstorm, giving way finally to a sunset. It was definitely impressive, and it's going to be something we have to stare at for quite a while. Attention to detail like this should help ensure the game stays interesting. This doesn't just affect the sky itself, either. "What this means for you as a player is that, wherever you go, there's an incredibly beautiful sky that is one enormous HDR light source, which touches everything in the game… making everything more authentic. The previous Forza Horizon games have always put you in the shoes of a rookie, someone working their way up to win the festival. While the open world was, well, quite open, the structure of the game just wasn't. Playground Games is changing that this time around with what they're calling Horizon Blueprint. You can roll up on any of the countless colored discs populating the game's huge map and, if you like, participate in the event the team has laid out. Now, though, you can click to the left to open Horizon Blueprint. "This is where you can change everything about [the championship we selected]. The routes, the number of routes, the distance, time of day, weather, entry conditions, eligible cars, and then give it a cool name," Fulton said. That last part, he said, is important because plays into the social elements I'll get into in a bit. Even bucket list challenges can be created, including new challenges like Drift Zones and Danger Sign jumps in addition to oldies like speed traps and speed zones. You can also customize your car in new ways. The team has 350 cars this time around – 150 more than in Forza Horizon 2 – at launch. "The thing we've wanted to do for years, that our fans have been screaming for, is to add more customization for the cars that we do have in the game," said design director Jon Knoles. "We've added wide body kits from…leading manufacturers. More rims, more wheels, license plates and horns you can customize too. We're not just putting more cars in there, but giving people more ways to express themselves with those cars." Even the driver can be customized this time. One of my biggest complaints about Forza Horizon 2 was that there was only one driver – the same expressionless dorky guy – in every single car, every single photo. This time around there are 14 different driver models with a diverse set of backgrounds and genders, so you can put yourself in the game that much more easily or, at worst, see a little more variety in the countless photos people will end up taking. Some of that freedom does come with a bit of restriction, though. While supercars might be great on highways or even, heaven forbid, the beach (why would you do that to a supercar, though? 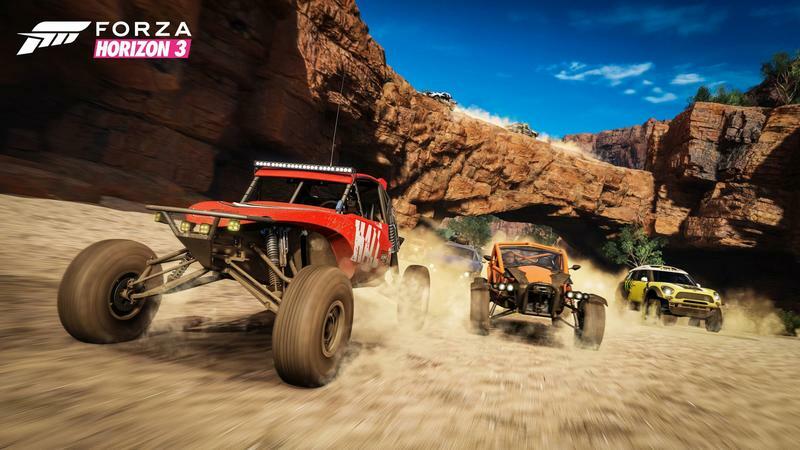 ), the game puts an emphasis on off-roading with Trophy Trucks and buggies. So this big open world has more stuff to do, Knoles said, but also "more reasons to choose one car of another." 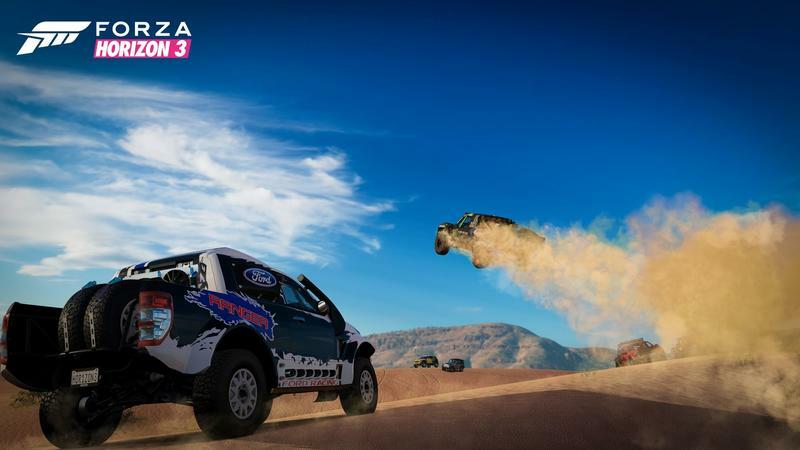 The team spent a lot of time getting stuff right like the kind of suspension needed for deep off-roading, and things like water are treated very differently even from Forza Motorsport 6. You'll see cars "driving through a half meter deep pond, rivers, lakes, you can ford streams, you can drive in the ocean surf. If you're in the right car, great. If you're in the wrong car, you'll know it pretty quickly." 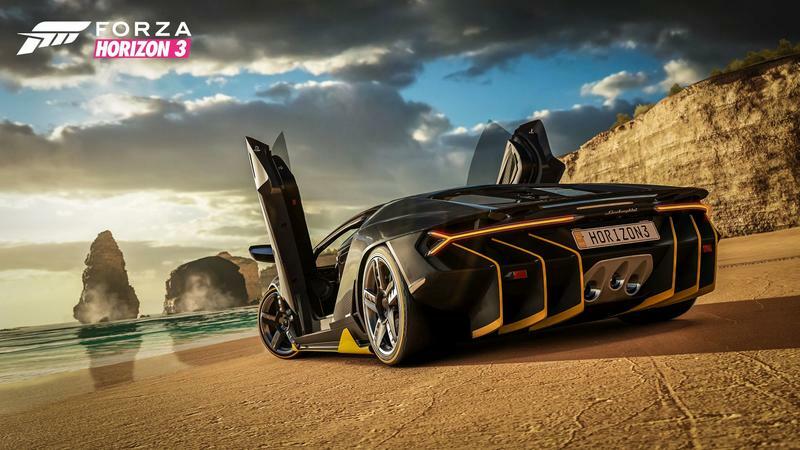 Forza Horizon 3, Fulton said, is not just the most social racing game on Xbox, but "the most social racing game ever." It's also one of the first rounds fired in Microsoft's Play Anywhere campaign that will allow those who buy digitally to play the game on Xbox and PC. "Horizon is the perfect game for that because it's about having fun with your friends," Fulton said. "It shouldn't matter that your friend is on Windows and you're on Xbox One. i think co-op is a perfect expression of that kind of laid-back fun." 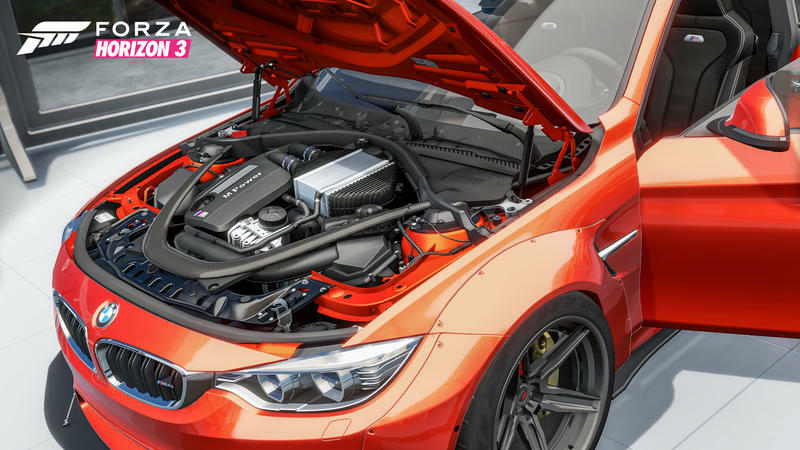 Cooperative play is coming to Forza for the first time with Forza Horizon 3. Fulton said that this is a feature they've wanted to get into since the beginning but that this is the first time they feel like they could do it right. "Everything you can do in the solo game, you can do with your friends; not a subset of the main game, not a ring fenced in where you have to go to play. You're playing the campaign, and your friends can come join you," he said. Any money or accolades you win, of course, go back around to the solo campaign as well. And while there's no local or LAN play, Fulton did say, explicitly, that you can play the Xbox One and Windows 10 versions you own together, at the same time, in the same house. Awesome. Forza's Drivatars are getting in on the fun, as well. Instead of just competing against Drivatars, you can now hire them. As the boss of the Forza Horizon festival, you need to make money. You can hire your friends to do that for you, and their drivers will drive and win races if their Drivatars are good enough. If they're not? Fulton has an answer for that, too. "If one isn't maybe doing so well, you've only got four spots, so you might have to think about firing your friend's Drivatar and replacing him with a different Drivatar. What's great is that every time you fire one of our friends, we're going to record a video of you doing it so you can send that video to your friend as well." Even music will change this time around. Before you were dependent on the playlists Playground Games put together. Honestly, those were pretty good lists. But now you can drop a bunch of MP3s in your Windows 10 One Drive, along with a playlist file, and stream your own music into the game. If you want to drive to classic polka, that's a thing you can do. If you subscribe to Microsoft's Groove music service, you can also build playlists from that library as well. The Auction House and Storefront, two very highly requested features, are returning as well, allowing people to put their creations up for sale, giving players another way to spend their hard-earned in-game cash. And even if you've tired out on Forza, you might find some appealing new features just thanks to the location. "Because Australians have made some awesome cars going all the way back to the 1950s, we're going to see classics and some great modern stuff too," Knoles said. I asked about a favorite car among nerds like me, Mad Max's Pursuit Special. "Every kid probably had a poster of the Mad Max pursuit special on his wall, and that was based on the 1973 Ford Falcon XB GT, which we have had in Motorsport. It's never been in Horizon before; do you think it might be?" When Horizon hits Xbox One and Windows 10 this fall, there are going to be plenty of ways, it sounds like, to have fun with the game. You can follow the path Playground Games has cut for you, or make your own. You can play with friends, or tackle the outback solo. 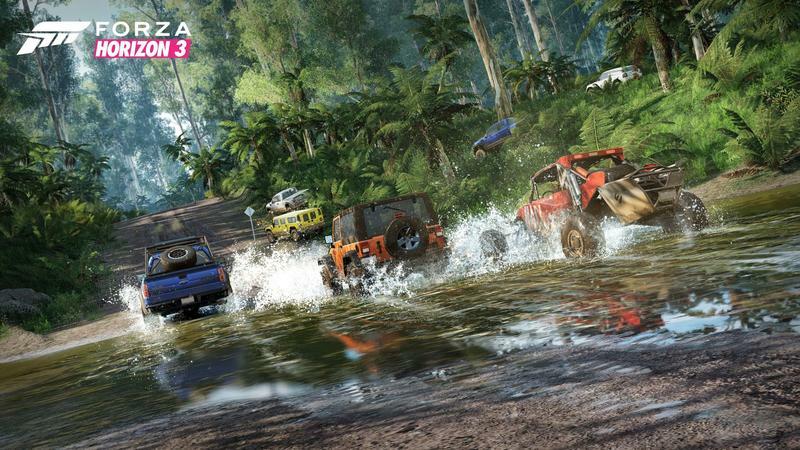 You can drive the streets of Australia or crank up the suspension and head into the wild. There's going to be a lot of driving to do this fall.